Melina receives rave reviews from audiences of all sizes and industries. Her fun, conversational approach is bringing behavioral economics out of academia and into application. 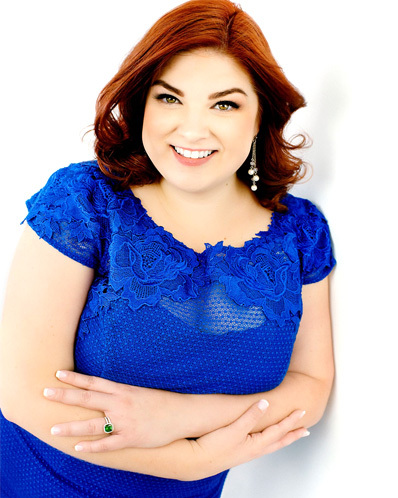 Melina Palmer, host of The Brainy Business Podcast, has dedicated her career to seeking answers to these questions for herself and her clients. The first individual to graduate from the University of Washington’s Global Honors Program with a degree in business, her senior thesis was presented at the Association of Consumer Research Symposium in Hyderabad, India. A lifelong learner, she went on to pursue a Master’s in Behavioral Economics from The Chicago School of Professional Psychology conducting a research project on improving savings behaviors using simple nudges. A Filene i3 alumna, she loves to bring innovative practices to organizations and help bring BE concepts from academia into application. 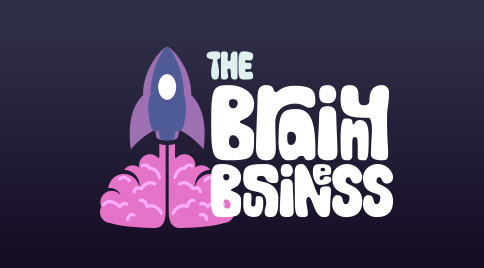 At The Brainy Business, Melina works with companies and entrepreneurs to understand the small changes that can make a big difference in product programs, pricing, change initiatives, branding, internal communication, and marketing messages “brain friendly” to increase engagement and ROI. The subconscious brain makes 99% of buying decisions – small tweaks in messaging can make a big difference in conversions and ROI. Melina unlocks the secrets of the brain to help groups of any size and industry to become more brain friendly. The way we’ve always built brands, pricing, products, and messaging is wrong. When you don’t consider how the brain actually works, you might as well be throwing noodles on the wall and seeing which ones stick… But what if you knew how the brain made decisions? What if you understood how changing one sentence (or even one word) could drastically impact the return on your messaging? What if you could tap into those hidden choices in the subconscious mind of your consumer to know what they will actually do (not just what they say they will do)? In this session, Melina will use concepts of behavioral economics (including loss aversion, anchoring & adjustment, and relativity) to unlock the answers…and give you the key so you can see your business in a whole new light. "Change is hard." But does it have to be? While there are different personality types, all our brains have a common thread that has been developing for millions of years. This commonality has created rules of thumb which guide the subconscious brain. “Gut” reactions are actually the subconscious brain, which does not have a concept for language, trying to communicate. The way you prime and frame a message can have huge impacts on the way it is received. The right message communicated the wrong way can almost guarantee a new approach or initiative will fail. In this session, Melina will uses her fun and engaging “it’s not about the cookie” framework to help anyone lead through change with ease. Ever created a campaign you just knew was amazing –the one that would blow everything else out of the water…only to have it flop? We have all been there. We have all wondered what went wrong, but never really got an answer: until now. Melina Palmer uses this interactive presentation to teach the audience about small tweaks that can make all the difference. How? By understanding how the brain really works and using those lessons to your advantage. Did you know more than 95% of decisions are made subconsciously? Most messaging is speaking to the wrong part of the brain! Learn how to make your brand more “brain friendly” (and thus, more effective) when you know how habitual behavior, emotions, and the five senses are impacting your brand every day. And don’t worry, this presentation is in everyday language with simple examples and tips you can apply immediately. Why do people buy products? What drives their behavior? Whether we like it or not, we humans buy almost everything (99%) with our subconscious brain. The subconscious makes snap decisions constantly, many of which have been developing for millions of years as a species. That means they can be easily predicted and built into product and pricing programs. Product presentation matters. The way you price matters. In this presentation, Melina will explain how to build, price, and present products to people will be driven to buy them again and again. Book Melina to speak at your next event.